Free Mosquito Inspection. Same Day Service. Call us today before noon and we can be at your home to provide a free, zero obligation inspection and estimate. Need mosquito control service? We can do that too, today! Fox Pest Control is the #1 McAllen & Surrounding Area pest control & extermination company. We have over 22 years experience, and have helped over 40,000 homeowners and businesses with mosquito extermination and other pest control. Read on to learn why we are the top choice for pest control in McAllen & Surrounding Area, then pick up the phone and call us for same day help with your pest problems. If you start seeing too many mosquitoes, you should give us a call. 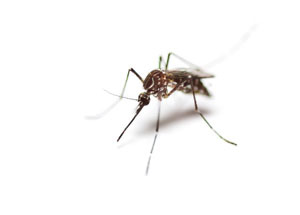 Mosquitoes reproduce rapidly, and more mosquitoes will only increase the likelihood of you or a loved one getting bit or sick from the bite. Treating the property and finding hot spots for mosquitoes to treat is key to keeping a McAllen & Surrounding Area mosquito problem under control. We conduct a free, zero obligation home inspection. We will identify the source of your mosquito problem. We put together a plan that best fits your home in order to eliminate and protect against mosquitos. Fox Pest Control guarantees its treatment plan for a full year. If for whatever reason you have any new mosquito problems or other covered pests, we will treat immediately and at no cost to you. Immediately means you are our priority.